Stunning Ocean Views Overlooking Playa Hermosa From Every Room Of This Private Luxury Villa. Inside the small and private gated community of Alta Vista this unique property provides sumptuous, fully furnished accommodation for 12. The Main Home has 4 Bedrooms with 4 Full en-suite Bathrooms and 2 Half Bathrooms, while the Guest House has a full Kitchen and Living room with 2 Bedrooms and 2 Bathrooms. Both together measure 5,600 SF inside and 8,000 SF including the Terraces and Pool. &#13; &#13; The Main Home has 2 Kitchens, an indoor Exercise Room, a dedicated Media Room and a large Great Room that opens out to the massive covered ocean view Terrace that features a full Wet Bar, large infinity edge Pool and infinite areas for lounging. 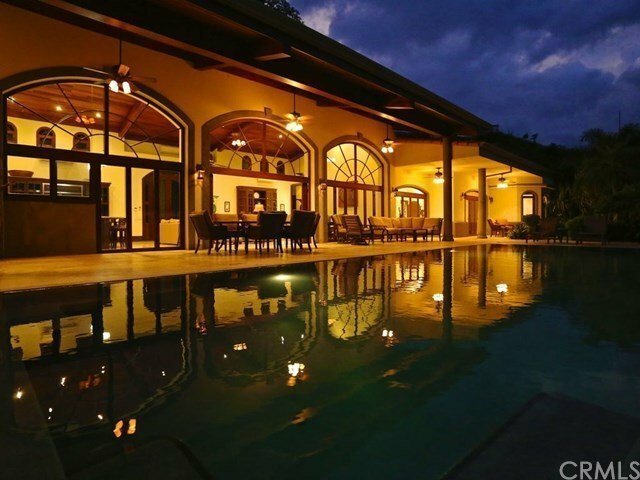 This exquisite property is just minutes to the warming sands of Playa Hermosa and only 20 minutes from the Liberia International Airport, 15 minutes to CIMA Hospital and minutes to all the water sports, services, shopping, restaurants and nightlife that Playa Hermosa and Playas del Coco offer.